How's that for boost? This is the second largest turbo offered by Precision Turbo and Engine, but more on that (and this car) later. 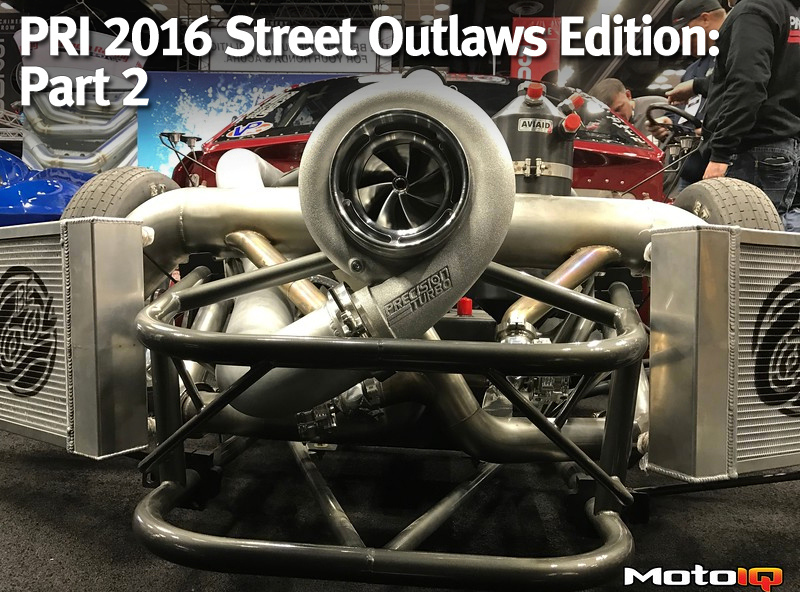 PRI 2016 Street Outlaws Edition: Part 2 – Turbos! If you enjoyed Part 1 of our Street Outlaws PRI coverage, you’re going to love this one. 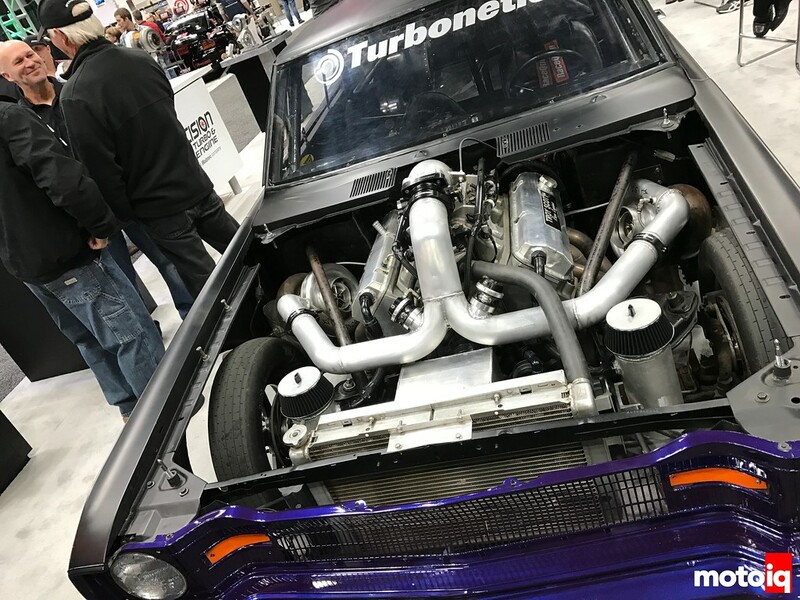 We’re talking big turbos, huge turbos, and stupid turbos! 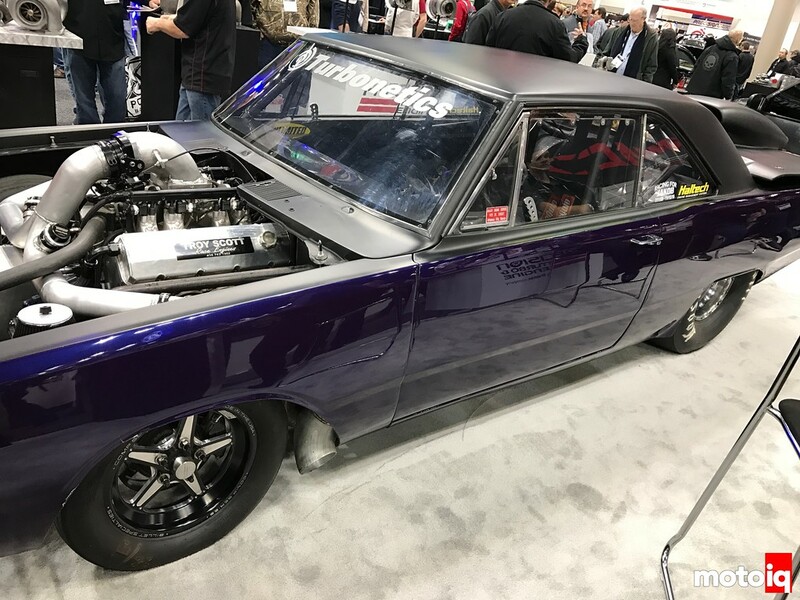 One of my favorite looking cars on the Street Outlaws show is the Dodge Dart owned and raced by Joe Woods, who is also known on the show as “Dominator”. 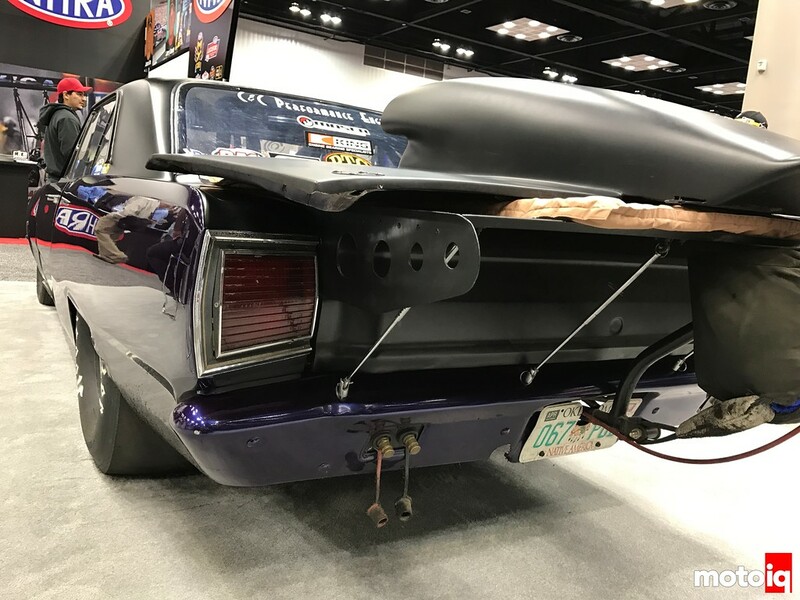 Dominator ran a nitrous big block in 2015, but in order to keep up with the big boys, he made his move to the dark side- with some boost. 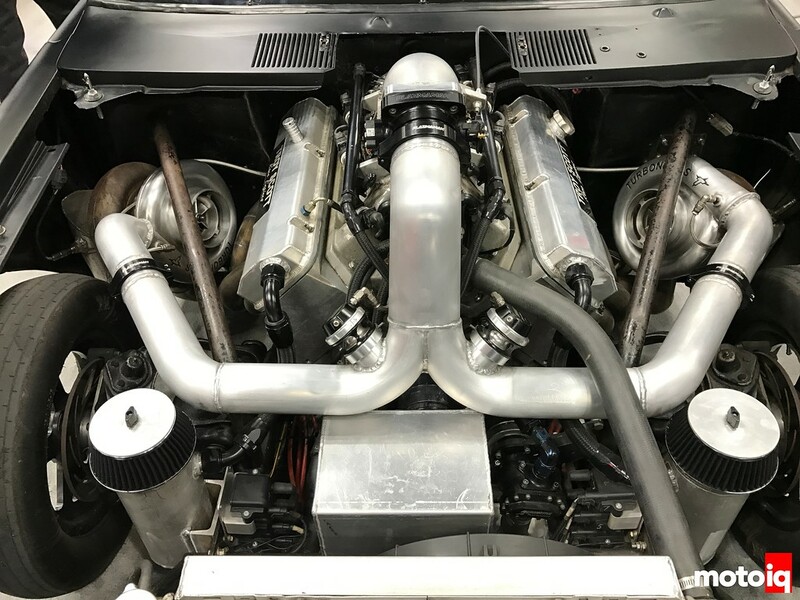 A pair of 88mm turbos from Turbonetics now do the trick on his Troy Scott 632 cubic inch V8. Dominator was also in the Turbonetics booth at PRI to answer any questions (he's the one smiling proudly in the upper left corner). The car appears to still be rockin’ an Oklahoma license plate! I guess that makes it a street car then. Here’s another close-up of the engine bay. Apparently, Dominator has been catching a lot of flak for putting a Chevy engine into a Chrysler.